Halloween’s finished — bring on Christmas! The festive feels are flickering into life, with fireworks displays, Christmas markets, a huge ice rink in Guildhall Square, tree light-ups, and more. Plus, a whole host of other exciting events, including world cinema screenings, Shakespeare productions, masses of comedians, art shows, and Thanksgiving dinners. Have a wonderful November! It’s that time of the year again! Heads craned to skies filled with colour, sparklers fizzing away in our hands, letting the festive feelings set in. Here’s a list our top picks for fireworks and bonfire night events in Portsmouth, Southsea, and wider Hampshire! The highlighting headliners at Gunwharf Quays’ fireworks extravaganza this year are Nadine Coyle, famous for being one fifth of Girls Aloud, and 2016 X Factor winner Matt Terry. The exhibition will showcase collages on canvas, a collection of children’s portraits on antique and vintage found objects, and a limited-edition print run of Little Girl Dreams (the ballerina on the wall opposite Tea Tray in Osborne Road). Roo is known for her collages, drawings, paintings, illustrations, and prints. She uses aged papers, books, musical score sheets, leather book binders, and old interesting objects such as Victorian lace fans and ribbons as foundations for her works. Roo’s artworks incorporate original photography and drawings, and she’s produced visuals for record releases, gallery shows, and original commissions for well-known musician’s homes. The exhibition launches on Saturday 18th November, with a free event running from 6:00pm to 8:00pm. RSVP to the launch night on Facebook to let your friends know you’re going. Set in the modern world of alternative facts and fiercely jealous leaders, the young Rosalind and her friend Celia find themselves pawns in a power struggle. Together they decide to flee the city and its politics for the forest where they discover a countryside wonderland of peace and harmony. Disguised as a boy, Rosalind meets Orlando and, amidst the intoxicating atmosphere of the forest, counsels him in the art of love. One of Shakespeare’s best-loved comedies, with the most witty and wise-cracking heroine of them all, is transformed in a bold new production by Kate Saxon. Ticket prices vary between performances and seating bands. Book yours via the New Theatre Royal website. There’s never a shortage of opportunities to laugh your a**e off in Portsmouth — top names will be coming to some of Portsmouth’s finest venues this month, including the likes of Rob Brydon off Gavin and Stacey and Netflix star Katherine Ryan. On Sunday 12th November 2017, thousands of people from across Portsmouth will stand in Guildhall Square to commemorate the contribution of British and Commonwealth military and civilian servicemen and servicewomen in the two World Wars, and later conflicts. The Sunday service will start at 10:30am on the Portsmouth Guildhall steps, before proceeding into the square and leading round the corner to the memorial cenotaph. Local dignitaries will be in attendance, including Lord Mayor of Portsmouth Ken Ellcome. They’ll be joined by a representative of the Lord-Lieutenant of Hampshire to lead the Civic Delegation. Serving military personnel and members of ex-service groups will parade onto the square at 10:50am, led by the Royal Marines Band. Big Screen Portsmouth will broadcast the commemorative service, courtesy of students from the University of Portsmouth’s Television and Broadcasting BSc course, via The Creative and Cultural Industries TV channel (CCI TV). Ice skating comes to Portsmouth this Christmas season, from Saturday 18th November ‘til Tuesday 2nd January, in Guildhall Square! Organised by SKATE Portsmouth, who have several other successful UK ice rink events under their belts, the ice rink will be located in the heart of Portsmouth’s city centre in Guildhall Square, between Portsmouth Guildhall, Big Screen Portsmouth, and the Civic Offices. 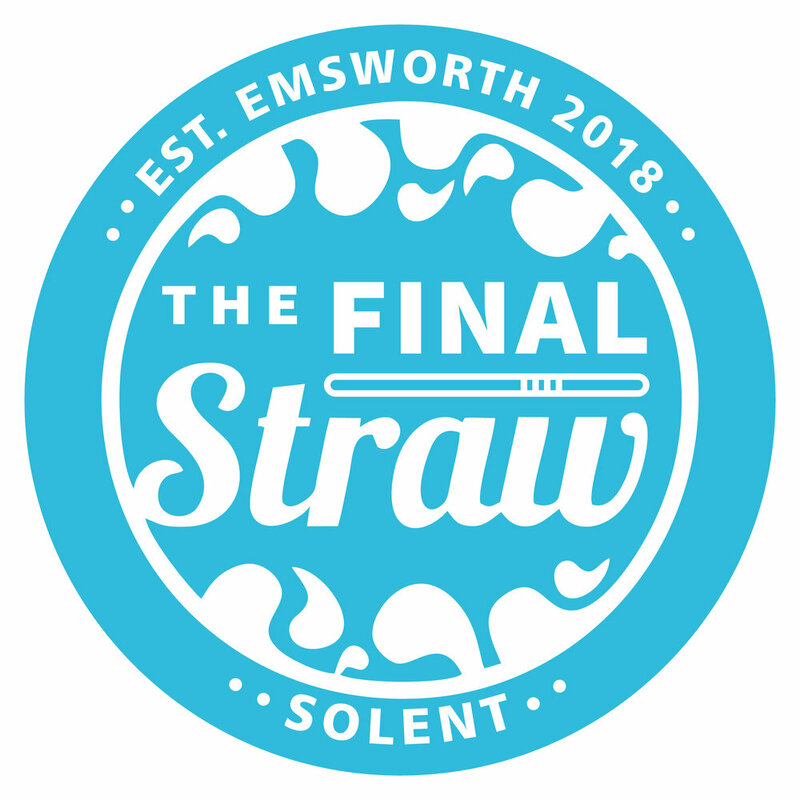 It’s 646 square metres in size, and ice skating tickets are available in the form of one-hour sessions, bookable via the SKATE Portsmouth website. Simmer down with an aromatic mulled wine or steamy marshmallow-topped hot chocolate from the Moguls Bar and enjoy life-saving hot dogs from the Feed chalet. The ice rink is open from 10:30am to 10:00pm daily, on all days except Christmas Day. RSVP to the event on Facebook to let your friends know you’re going. Find out from two artists who have worked on the series, adopting very different approaches with equally stunning results. The session will be chaired by Olivia Ahmad from the House of Illustration, the UK’s only public gallery dedicated to illustration and graphic arts. This live broadcast at Portsmouth Central Library in Guildhall Square takes place on Friday 17th November from 7:00pm to 8:30pm. It’s free, and takes place on the third floor. Ask at the library’s entrance desk if you need guidance on how to get to the event. What can you use to make a mark? What will happen once you begin? Are you curious about where drawing can take you? Start your drawing journey at this open-to-everyone drop-in, and explore the endless possibilities of a pencil on paper. This workshop is part of ‘A Year of Drawing’, a year-long project that aims to use drawing to improve mental health and wellbeing. Running from 11:00am to 3:00pm, the event will be facilitated by a professional artist Annis Joslin and Belinda Channerwith, a Peer Arts Worker with lived experience of mental health challenges. Make Your Mark is free, and no booking is required. Find out more on the Aspex website. Join Brewhouse & Kitchen Portsmouth for a two-course Thanksgiving feast of turkey with all the trimmings and pumpkin pie to finish! Guests will also enjoy three ⅓ pints of some of Brewhouse’s favourite American-style ales, served with detailed tasting notes. The evening runs from 7:00pm to 9:00pm. Tickets are £20.00. Book yours online and RSVP to the event on Facebook to let your friends know you’re going. Join the Hotwalls artists from 4:00pm to 6:00pm for seasonal music from Victory Brass, performing traditional Christmas sing-along music! There’ll be opportunities to meet artists and makers, peruse their work, and see inside their workspaces. An ideal chance to commission custom Christmas gifts! Anyone who has lived and breathed Portsmouth over the past ten years knows the decade has seen an explosion in the number of startup businesses and creative ventures in the city, and with that surge comes a whole bunch of exciting new office spaces. Two of those offices spaces — Innovation Space and Cell Block Studios, host open days this November. Now’s your chance to take a look around Innovation Space, a co-working environment at the heart of Portsmouth. These free tours run from 10:00am to 2:00pm on Friday 17th November. The bright, lively, open space, situated in the University of Portsmouth district, is home to a community of startups and entrepreneurs. During Global Entrepreneurship Week, Innovation Space are throwing open their doors for people to come and have a tour of the space, meeting staff and having a chat with a Collaboration Manager from the university about support for small businesses. The event is free, but booking is required via Eventbrite due to capacity limitations. The team at Cell Block Studios are hosting an open day on Monday 13th November, to give local digital creative businesses the opportunity to tour the unique office space. Cell Block Studios is situated in the old naval prison within Portsmouth Historic Dockyard, and offer newly-refurbished office space to established creative businesses and fresh startups. 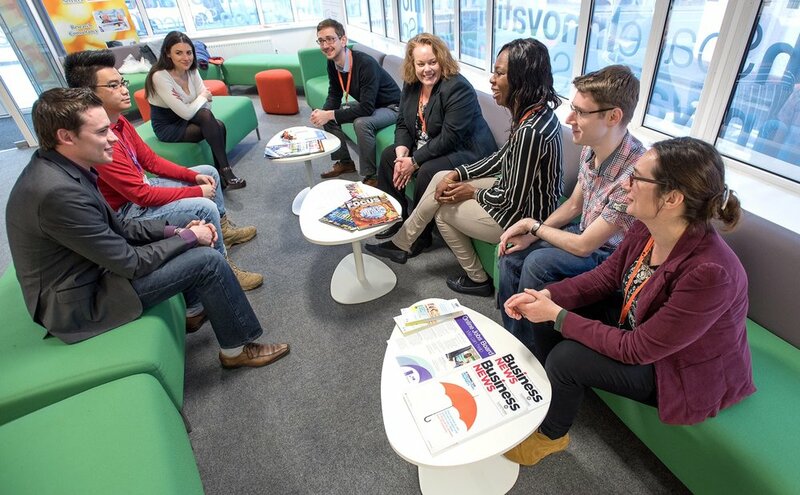 The open day tour will be conducted by Collaboration Managers from the University of Portsmouth, who will show visitors around the incredible facilities, explaining member benefits and discussing the services offered to small businesses by the university. The tours are free, but places must by registered via Eventbrite.